Canellation 24 Hours before date of arriving. If not show, the first night will be charged. We offer dormitories and private rooms with comfortable beds. We are the only hostel direct in town with a big green area and a huge garden. 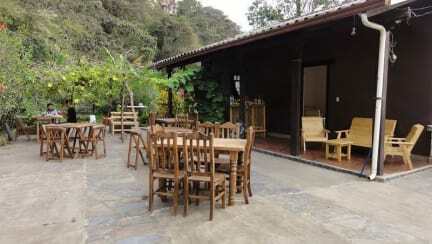 The hostel also has a big terrace with an amazing view to the valley. In the Patio is a cozy meeting area were some days (It depends how many people are staying) in the week we have an open air bar/restaurant in the night with a variety of food, snacks and drinks. We are since two years in town and we are constantly working on projects to improve the location. 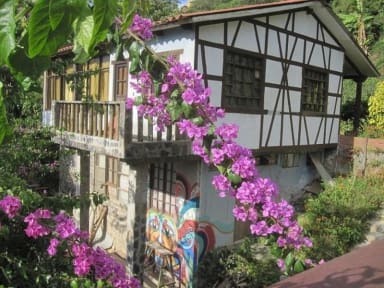 The hostel is located on a property with a huge garden. We have many banana trees, mandarins and orange trees, coffee pants, avocado trees, lot of flowers and many more. The hostel has a Blog with more information about the concept and the story of why we built the hostel.